I have been reading over these threads; staring at things, scratching my head - and feeling stupid. *sigh* So, now I'm gonna be smart, and ask for help. Kiri helped me get this working once before - but, now I've got Windows 10 and a new monitor... and trouble. This is for my little 2Gb Acer Aspire One NETbook - which I know isn't the best place to play TS2 - but it worked before, and I want it to work again! My parents bought a new PC for Christmas and handed me down their old monitor (which is HUGE after using the tiny netbook one) it is now hooked up to said netbook. I think all the info you will need is included in the attached files? According to this, you've only got 1.3 MHz CPU - which is very low for Sims 2. In fact it is so low, that it is under the cap for Low Resolution (2MHz). Can I get you to do a dxdiag for me? How you do that is press the windows button that is between the alt and ctrl button on the left hand side of your keyboard, and press R. It will bring up a 'Run' Window. Type in DXDiag. Once that is done, on the bottom of the DXDiag window there are buttons one is called 'Save All Information ...', that will create a text file with the DXDiag information in it. That will give me some more info on setting up your card. I will be able to make it kind of work, but I will have to turn off an awful lot of stuff to make it work. 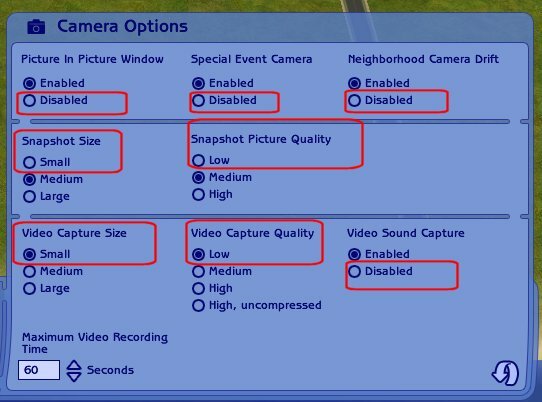 Sims 2 is a legacy game that is CPU intensive, so that you don't have much CPU means that there is a good chance that the lag and stuttering because of that. But I will do my best to make it work smoother. I've got the empty (no inhabitants) templates installed on this machine. I just want to build basic buildings without fancy added CC stuffeths - so they'll be easier to upload - then, when they're done, I'll put them over to my BigRig where I can decorate for my personal style. (23-02-2017 07:26 PM)gayars Wrote: Can your netbook handle that monitor when under load? I don't know. Possibly? How do I tell? ...besides waiting for the smoke to start wafting up from the keyboard? I'm towards the end of my second play through of Dragon Age: Origins - and it plays perfectly fine; until I get to the big boss battle scenes at the end (then it lags and stutters pretty bad) They're not the same game, I know; but one would think I should be able to build in an uninhabited neighborhood. Just build. That's all I want to do on that machine. There are 3 things that can cause problems - the load on the RAM, the load on the CPU and the load on the Graphics Card (also know as the Graphics Processing Unit GPU). You've got a couple of problems on this machine. Windows 10 is taking up a bigger footprint on the CPU/RAM than you had previously. So you have less there - so much less that you actually shouldn't be running Sims 2 on your machine at all. The monitor does require GPU load and CPU load. The higher the native resolution, the more the GPU has to work. The harder it has to work, the harder the CPU has to work. The reason why your previous monitor worked was because - it was optimized for 1366x768, as opposed to your new monitor which is 1280x1024, which is about 25% larger. 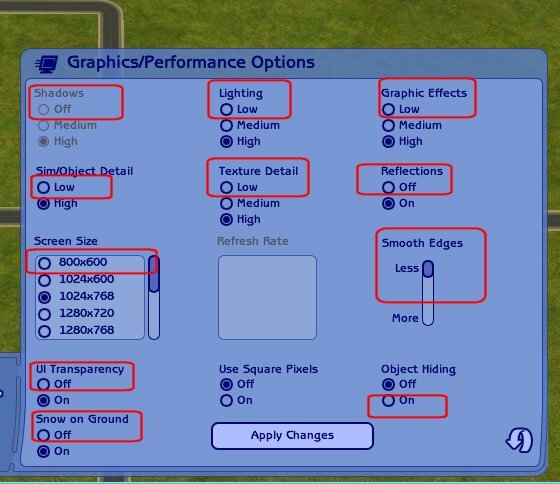 Sims 2 is a CPU intensive game, and requires far more work out of it's CPU than do other games. Which is why you can get Dragon Age going until it gets to the Boss battle, and the heavier load. 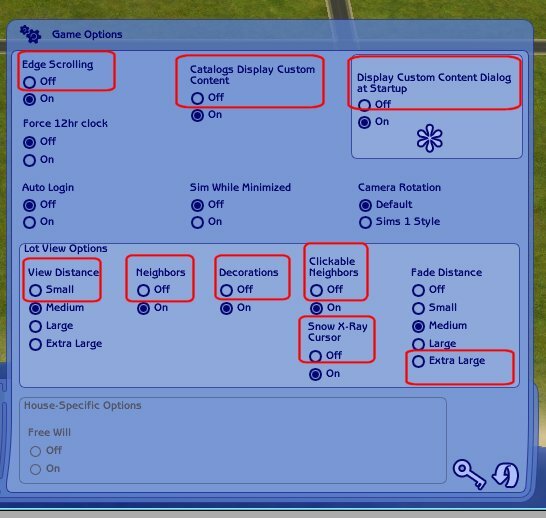 And Sims 2 starts going straight away to the heavier load. If you want to build houses on this rig then you'll need to do the following. 1. Uninstall all of Sims 2, and put on Sims Life Stories, or just Sims Base Game. Sims Life Stories would be better if you have it, as all the heaviest CPU/GPU load has been lessened from the game engine itself. 2. Only run in the game 800x600. 3. Run in Low Resolution only. 4. Run with hacks that limit NPC creation - all of them, before any NPC's are created. 5. Use the smallest hood possible - if you haven't downloaded a tiny hood, then the sample hood would probably be ok.
7. Turn everything else off - the internet, everything that Windows 10 will let you turn off. That will make the game run as smooth as it can, but I can't guarantee that it will make the stutter and lag go completely away. Gina can probably tell you better what to look for in whether your monitor uses too much for your netbook. I suspect that it does. OK - Thank you for looking at it; and taking the time to try and help me. I will try everything you suggest. And, thank you for the card link. But, I guess, since I don't want to completely kill my portable machine; I prolly shouldn't be using it for S2. Pooh! I don't have Life Stories - and the "few CC" I have on that machine are the no-regen/spawn things. So, basegame it is. On the bright side - that should make anything I build and want to share a quick-upload process! ...Now I'm going to go pretend the darkspawn created Windows 10 - and go kill them all. Mwa-ha-ha-ha! Can you run a program like fraps, or something similar, that will monitor your fps at least or one that will check your graphics card temperature too just once while running base game, just to make sure your graphics card is faring well? I would hate for you to burn out your little netbook! One that monitors cpu temp might be good too. Something like msi afterburner for instance. Or rivatuner. Speedfan would be helpful as well. (depends on graphics card which one is best). I am not sure which ones run on windows 10. Does your netbook feel hot while playing? If it is too hot, perhaps one of those cooling mat things for laptops might be good.